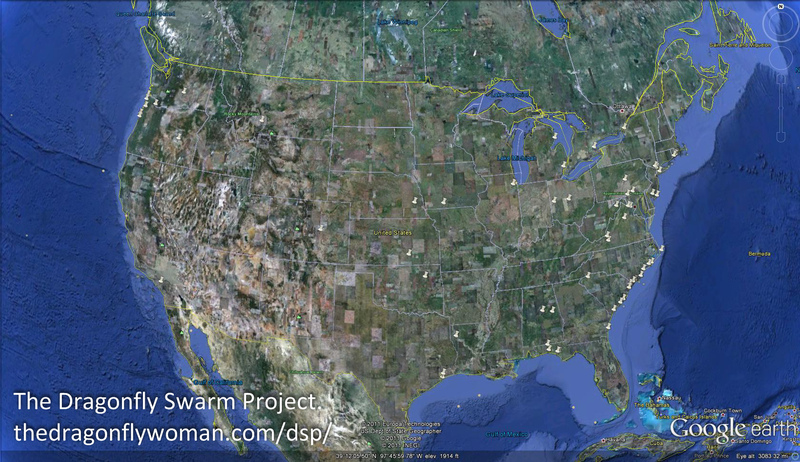 This page is a repository for the yearly maps generated by the Dragonfly Swarm Project. Click on the images to enlarge. Want to open more than one at a time? Try right clicking on the images and clicking “Open link in new tab” (or your browser’s equivalent) so you can quickly switch between multiple maps. 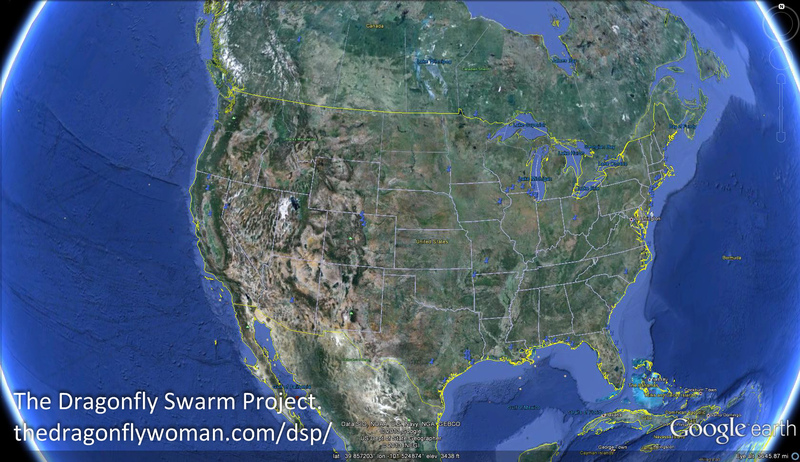 A note about permissions: Please feel free to distribute these maps for educational purposes, but I ask that my project watermark remains on the images and that you link any images used to the main Dragonfly Swarm Project page, https://thedragonflywoman.com/dsp/. Thanks! Have you seen a dragonfly swarm? 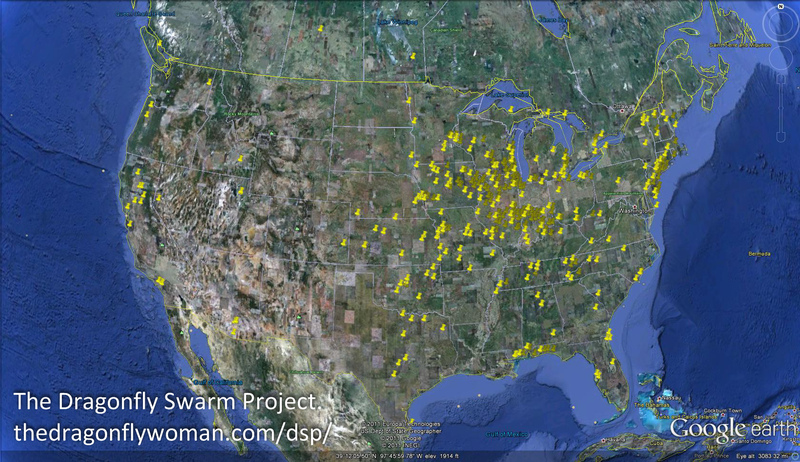 I am tracking swarms so I can learn more about this interesting behavior. If you see one, I’d love to hear from you! Please visit my Report a Dragonfly Swarm page to fill out the official report form. It only takes a few minutes! Visit my dragonfly swarm information page for my entire collection of posts about dragonfly swarms!